The grueling Tour of Flanders on Sunday starts without a clear favorite to etch his name on the second monument of the cycling season. The Ronde is the cruel culmination of Flemish Cycling Week. It is a 266-kilometre slog from Antwerp to Oudenarde over a route that takes in 24 sharp climbs, many cobbled. “It is, without question, the hardest one-day bike race ever created,” the American cyclist George Hincapie, who finished a record 17 times, wrote in his biography. This year’s field lacks a clear pre-race favorite. Peter Sagan, the imposing Slovak, who won in 2017, should, as usual, be a contender. The Belgian Deceuninck-Quickstep team has dominated the spring races but without a clear number one rider. They have not entered Frenchman Julian Alaphilippe, who won the first monument, Milan-San Remo, but their team includes Bob Jungels of Luxembourg, Czech Zdenek Stybar and Belgian Philippe Gilbert who all have wins this season, as well as Belgian one-day specialist Yves Lampaert. Gilbert dropped out of the Dwars door Vlaanderen on Wednesday with a stomach upset, but said he was primed for Sunday. 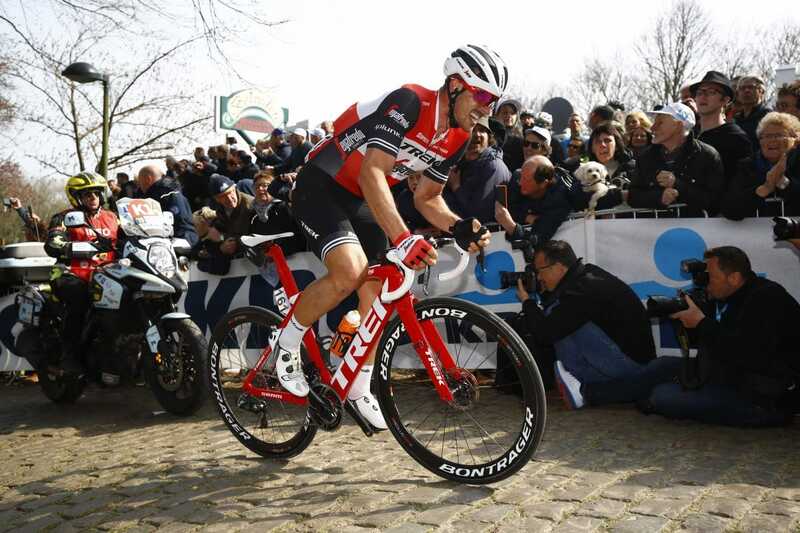 “Full focus on the Tour of Flanders!” he tweeted on Thursday. Alexander Kristoff, a Norwegian with UAE Emirates, the winner in 2015, showed he is in form when he sprinted to victory in the Gent-Wevelgem last Sunday. “I feel my condition is improving and it’s a good signal ahead of the Tour of Flanders,” Kristoff told the team website. The field will also include world champion Alejandro Valverde who is making his debut in the race at 38. The race is iconic for Belgians. One Belgian who knows is Tom Boonen, one of six cyclists to have won the race three times. The race will mark one of the last appearances in a monument of the Sky livery. They will become Team Ineos at the start of May. The team have made their name in the three major tours but have twice won one of the five most celebrated one-day classics, but neither Wout Pouls, who won Liege-Bastogne-Liege in 2016, nor Michal Kwiatkowski, who won Milan-San Remo in 2017, is in their team. Tour de France winners Chris Froome and Geraint Thomas and rising star Egan Bernal are also missing from a solid team that shows Sky’s strength in depth. Dylan van Baarle suffered a broken hand on March 2 but returned faster than expected last week aiming to race in Flanders.